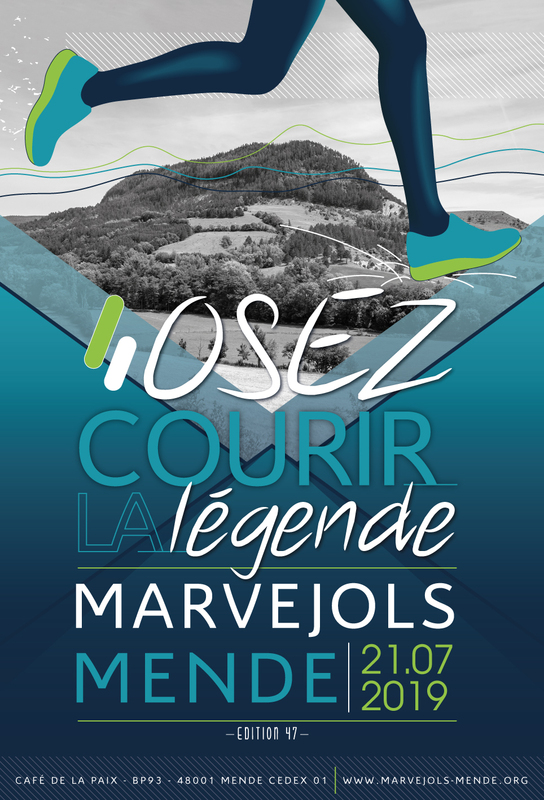 More than 5000 road race-lovers coming from all over the world and across the country, some young and some less young hit the winding and sloping roads for 22,4 kilometers in the midst of Lozère’s beautiful scenery. For the entirety of the race, some musicians, dancers and many volunteers (more than 550) are there to cheer you on. This support will be much needed with the two mythical sloping passes. Starting from Marvejols (height 634 meters/ 2080 feet), you hit the road at precisely 9AM from the Esplanade. After a few minutes of race, you can find people all around the route… 5 kilometers of false flats and 5 kilometers of uphills slopes will lead you to the first food supplies right above the the Pont des Ecureuils (height 693 meters / 2290 feet). We often say that at this exact moment, « the torment begins ». To reach the Goudard village (height 1000 meters / 3280 feet) you’ll have to run for about 2,5 kilometers on a slope with a gradient of 10 to 15%. The second food supply will be located towards the Goudard village. Next, the third food supply is about 1,5 kilometers away in the col de Goudard (height 1018 meters / 3340 feet). After these 9 kilometers of race, you’ll be amazed by the majestic scenery before your eyes. Then begins the 4,5 kilometers of descent to reach the Planchette (height 688 meters / 2257 feet). The first kilometer heading for the Valcroze hamlet is particularly tiring because of the zigzags and a slope with a gradient reaching more than 15%. It’s also around there that you’ll find yourself surrounded by racewalking contestants. At that moment, there’s only 500 meters left before the Planchette intersection (in the direction of Barjac-Mende) where you’ll find the 4th food supply of the race. It’s also at this place that you’ll meet back with civilization since a large public is usually standing by this intersection. For the last shaded area of the race (in case of beautiful weather), you’ll need to run on a 1,5 kilometers false flat to reach the Briquette food supply (height 700 meters / 3000 feet). Right after that begins the slope towards the Chabrits hamelt (height 960 meters / 3150 feet), where is located the 6th food supply. Once you’ve passed this point, the race continues with a false flat that leads you to Mende (at the Boulaines intersection). After this roundabout, you’ll go down for about 3,5 kilometers in a wide avenue. If it’s your first time competing for the race, we recommend that you identify the route the day or the week before.